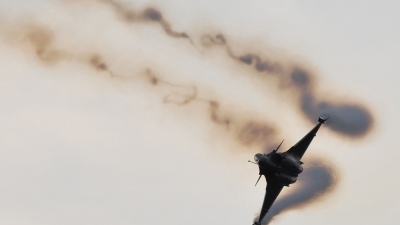 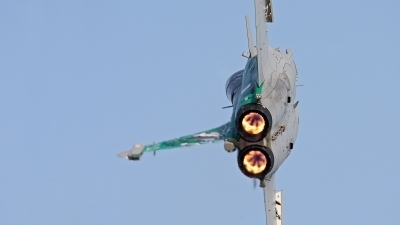 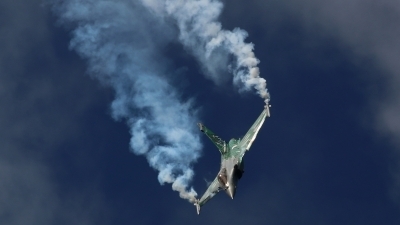 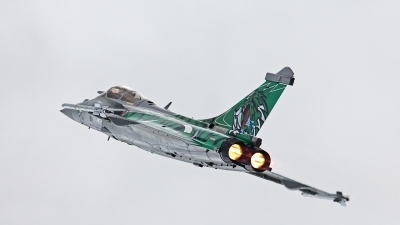 Rafale C assigned to EC 1/7 "Provence" at BA 113 St.Dizier-Robinson is captured during solo display on Radom airshow 2015. 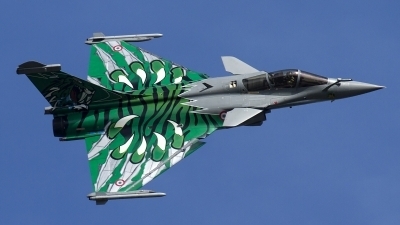 Tiger c/s is from NTM 2015 at Konya. 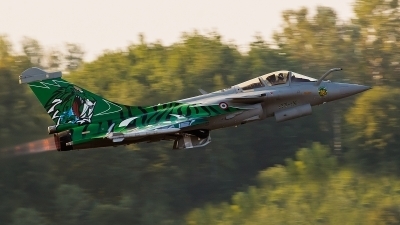 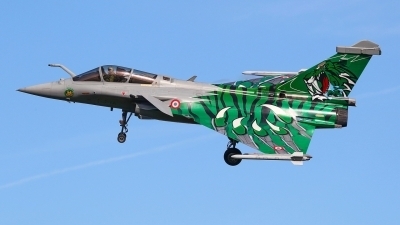 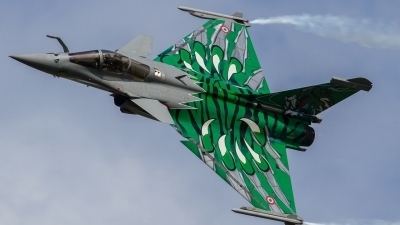 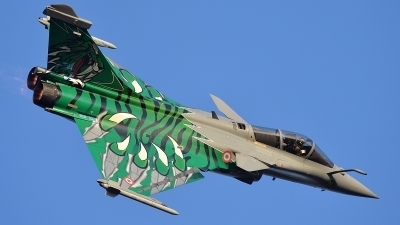 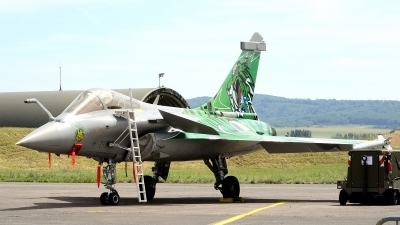 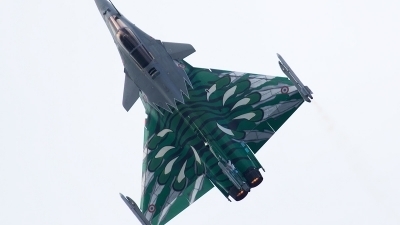 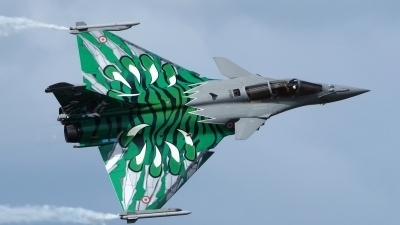 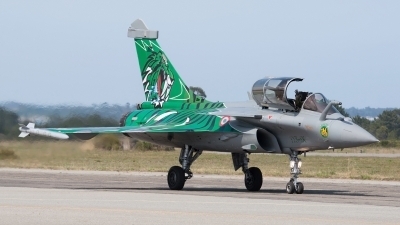 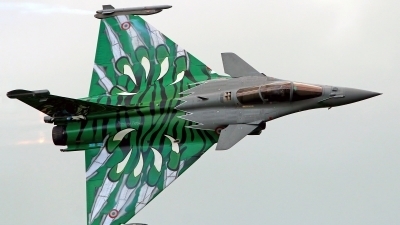 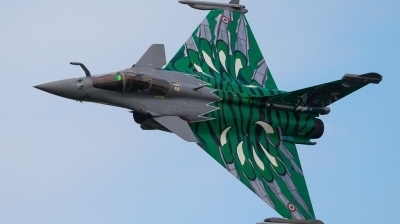 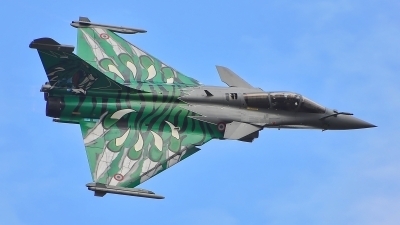 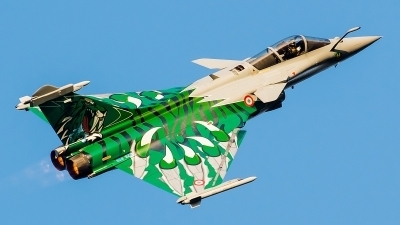 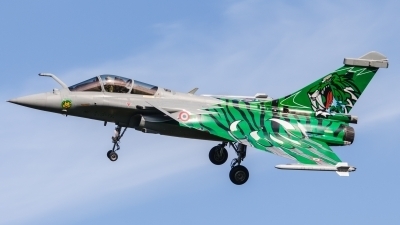 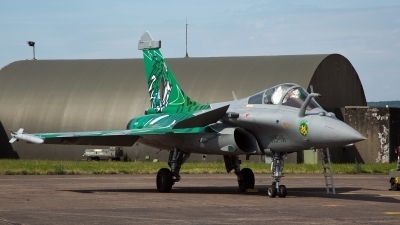 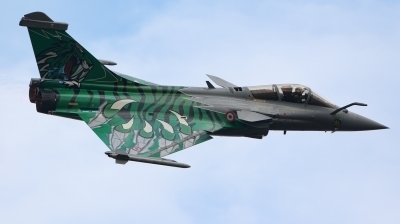 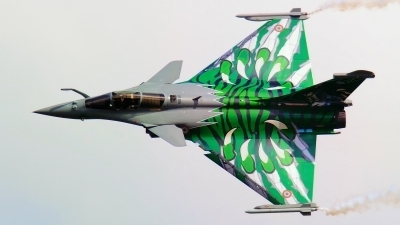 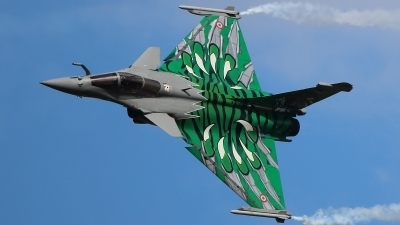 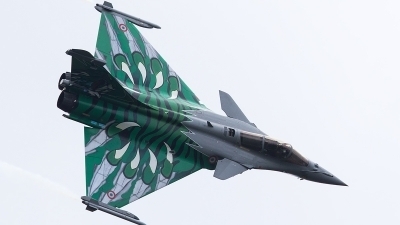 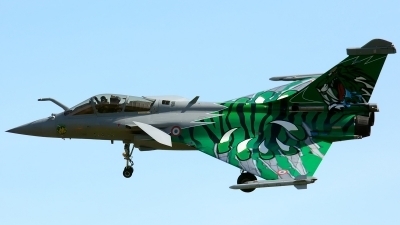 French Air Force Rafale C (113-IX; cn119), with splendid "Green Monster" Tiger c/s created for the 2015 NATO Tiger Meet, in action above Leopoldsburg during the 2015 Sanicole Air Show.